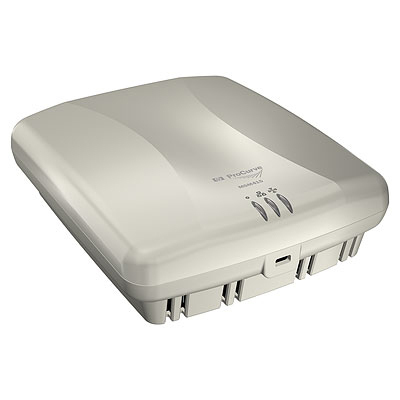 The HP Mobility Security IDS/IPS System is comprised of HP RF Manager and MSM415 Sensors. HP RF Manager in combination with the MSM415 Sensor detects and prevents wireless threats with automated policy-based security and location-tracking capabilities with full support for all IEEE 802.11 WLAN networks. The system eliminates false positive alerts and uses patented automatic classification and mitigation techniques to block unauthorized wireless traffic without disrupting the performance of authorized wireless devices. The HP MSM415 RF Security Sensor is required to continuously scan IEEE 802.11a/b/g/n networks for wireless threats and enforce their mitigation. The HP Mobility Security IDS/IPS System prevents multiple threats while scanning for new ones, providing industry-leading wireless protection, and it can be deployed to enforce a no-WiFi policy. It has predefined compliance reports for the Health Insurance Portability and Accountability Act (HIPAA), PCI, the Sarbanes-Oxley Act, the Gramm-Leach-Bliley Act, and Department of Defense (DoD) Directive 1800.2.